Puppeteer deserves credit for having honest intentions. It’s nothing if not an attempt to bring some color and whimsy to the Playstation brand, which is more renowned for the likes of Nathan Drake and Kratos. It’s a torch that has, for a while, been held solely by LittleBigPlanet, but Puppeteer looks to give Sackboy some company in the family-friendly department. Unfortunately, honest intentions cannot make up for a disappointing execution. The presentation and story are charmers. Using the aesthetics of a puppet show, Puppeteer tells of a Moon Goddess who was overthrown by her subject, Little Bear, who became the Moon Bear King after stealing a magic stone. The Moon Bear King then takes on the hobby of spiriting children away from Earth, turning them into puppets, and eating their heads. One such child is Kutaro, whom the player controls. 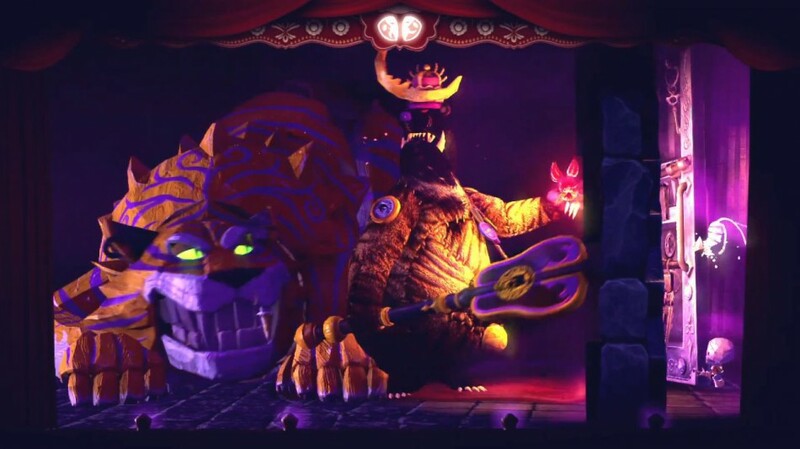 With his head gone, Kutaro is joined by the Moon Goddess’ cat, who shows Kutaro the ability to use different heads found throughout the journey, as well as helping him steal a pair of magic scissors, which become Kutaro’s weapon against the Moon Bear King’s forces on his quest to find the pieces of the magic stone, save the Moon Goddess and return to Earth (head intact). The story often invokes a sense of childlike glee, though some of its more cutesy elements come off a bit forced. 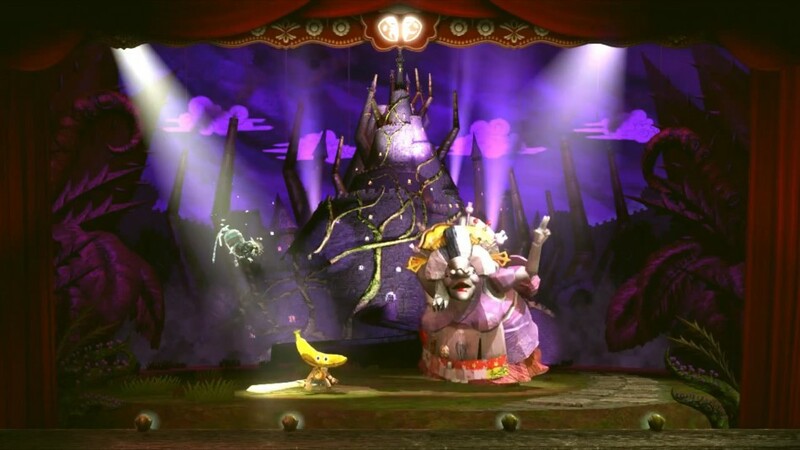 The puppet show motif works as a great setup, however, as this is a 2D platformer whose stages work in segments (think every segment as a new scene in a puppet show), and the aesthetics are perfectly complimented by the PS3 hardware. Puppeteer is simply a gorgeous game. The downside is that, in terms of gameplay, Puppeteer just isn’t very fun. It’s ideas are inspired, but an awkward, sluggish sense of control brings them down. Kutaro’s jumping abilities may feel even more weighted than that of the Sackboys who inspired him, which makes the platforming lack fluidity. 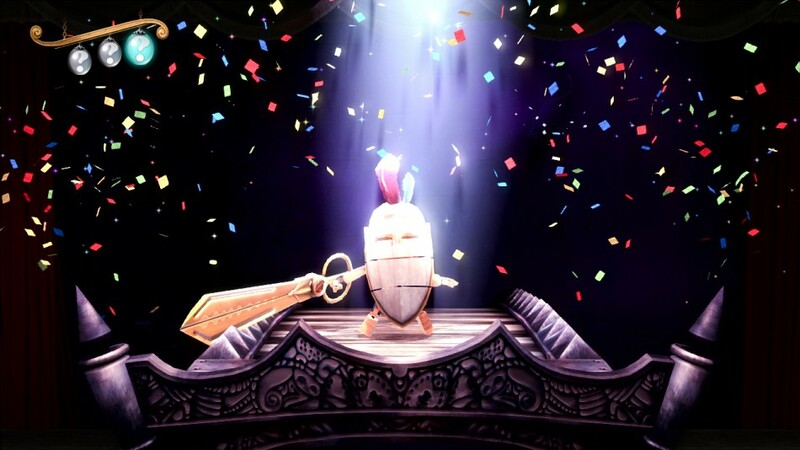 Using the magic scissors to cut down the environment as well as enemies is a fun trick – which also helps the puppet aesthetics mesh into the gameplay – but its uses are too simple and restrained, preventing what could have been a compelling gameplay mechanic from meeting its potential. Another missed opportunity is Kutaro’s ability to perform different actions through the different heads he stumbles across. Kutaro can store up to three heads at a given time, but they end up feeling more like extra health than they do power-ups (lose all three heads and it’s back to the last check point). The abilities the heads grant Kutaro seem limited to specific environmental situations – again preventing them from feeling like full-fledged game-changers – and like the scissors, they never seem to reach their potential. A two player mode is present, with a second player having the ability to help Kutaro out by pointing out objects and finding items. It’s nothing extravagant, but should a less experienced player want to join in on the fun it provides them with the opportunity. On the downside, the second character is still present in single player, with Kutaro and his sidekick’s actions being controlled with separate analogue sticks on the same controller. It’s a setup that might work with the proper execution, but with Kutaro’s movements already feeling a bit on the clunky side, the two-characters-on-one-controller approach just makes the sense of control feel even more awkward. I do not want to write off Puppeteer entirely. It is an appealing game that combines a great visual style with a charming, folktale-like narrative to make a game with an attitude that stands out among most of its Playstation brethren. But while Sackboy’s less-than-stellar platforming had a terrific level editor to fallback on, Kutaro is not so lucky. For everything Puppeteer does right with its presentation, it muddles just as much in the platforming department. It’s not broken, but it’s not desirable either. Perhaps Kutaro deserves another round to take the ideas he’s been given, and fine-tune them into something great. For now, Puppeteer is a game of great style, ambition and whimsy. But one that lacks the polish it needs to send its ideas straight to the moon. I had good hopes for this game. Too bad it turned out the way it did. The PS brand could use more games of that sort, albeit good ones. There seemed to be a strange habit for PS3 platformers to pack on the charm in heaps, but under-develop the gameplay. Puppeteer has some good ideas, but they don’t feel fleshed out, which is a shame.